I consistently had trouble with maintaining a normal blood pressure measurement on a daily basis until I tried super beets. Other products say they improve blood flow and circulation but only super beets delivered. Based on my repeated order of this product I am extremely satisfied. It took a short period for the product to completely reduce my blood pressure. My doctor was impressed. 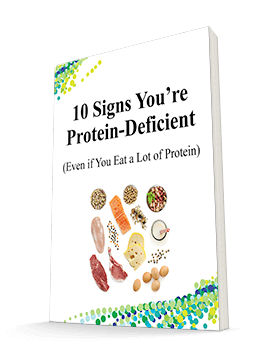 Very good to replenish nitrogen in your system. Works great. Super beets has a good taste and I think it helps me with energy. The only thing that helped increase the blood flow to my fingers was putting them in hot water. Since I have been taking Super Beets I haven't had a problem and my fingernails are in much better shape! even though cold temperatures have arrived! And my energy level has increased. I like this beets healthy powder easy to drink whenever , wherever . When I first began using Super Beets, I had been enjoying very good health for over 30 years, weight and health factors all scoring well. 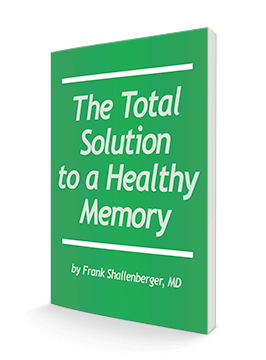 Being a reader of new health research, and being 74 years, I wanted to get that extra boost in circulation, so important as we age. A scoop a day is a simple thing, promoting the benefit of improved circulation in my legs--brain--and joints all over acting as a stimulus. I am a 67 year old male with no health issues. my belly fat reduced, my bowel movements are regular. I feel good . Great stuff love the Cherrie taste makes it even better. This powder makes a truly delicious drink for any meal or all by itself as a snack. I had an immediate boost in energy. I love it. I'm not exactly sure how it does it , but I feel better since I started Super Beets !!!!! Super Beets are the energy people are seeking, plus much more. I live in San Felipe, Mexico and cannot get nonGMO certified organic vegetables so have been looking for something safe. SuperBeets is what I was looking for. I plan to order more. Thank you so much for this product. I decided to use the Super Beets only for now, as it works perfectly with my morning supplements smoothie. While I have only taken the product for a month or so, my blood pressure has improved and I plan to continue taking it. I have been using it before working out and find its good energy booster.I use it daily. always looking foward to taking this drink.I feel more relaxed and energetic after this drink like the blood is moving again. I recommend Superbeets as a means to help your body produce an optimal amount of Nitric Oxide. I have noticed an increase in energy since taking them. I love the flavor, but for some reason my husband did not, so I guess it is a matter of personal taste. I have given it to friends who ask me how to get more energy. They all said it was good. One lady said it gave her so much unexpected energy that she was a whirlwind all day. I just wish it wouldn't clump up so fast. I bought it for my husband and he ask me to order more, so I assume it’s working! I might try it myself. This Product lived up to all of promises It gave me more energy and took care of my fogy brain . Have known about the health benefits of beets, Have only been able to juice them. Glad you have a supplement like this. Super Beets tastes good but the sugar content is relatively high and the product is not organic. I purchased an organic low sugar beetroot powder online but it tastes like dirt. I therefore mix the two products fifty-fifty. When I have used up the mixture, I probably won't reorder either. There is an energy boost after taking it, but not enough to override the downside. I've been taking this for several weeks now and notice NO difference in the way I feel. I was feeling fine before and I feel fine now. But I think the premise is a good idea so I ordered more and will take it for the next 3 months anyway. I take tons of stuff and, frankly, I have no idea if any of it does me any good. But I take it on faith...what more can I say? I hope it does what they say it does. That sounds like a good thing. Love the drink but it seems to take forever to get it mixed - sometimes, just don't have the time so tend to skip it especially at work - I brought a jar of it to work but very difficult to get it mixed requiring a lot of time that I just don't have ! I don't really feel any different, I know it has ingredients our bodies need, which is why I still take it not everyday any more though. It's working okay; I feel a little bit more energy. I would not recommend this product as of yet. Only used for several weeks. So far, see no difference. During the course of using the Super Beets product, I did not notice any sense of improvement to my energy levels or any other benefit the claims made. I want to believe it is working and improving my overall health, but I am not convinced it had any positive effect. So far I feel no different in terms of energy. I feel no improvement in circulation because my hands and feet are still cold. I'm still taking the Super Beets and I must say I was quite pleased with how nice they tasted. At this time I really can't feel any difference in how I feel. So for that reason I can't recommend this product. I have used Superbeets for a month now and have not noticed any positive change whatsoever in my health and overall well being. I will be asking for a refund as I believe there is a money back guarantee. I also had an issue with the flavor and the after taste for awhile after. The product may work for some but did nothing for me. 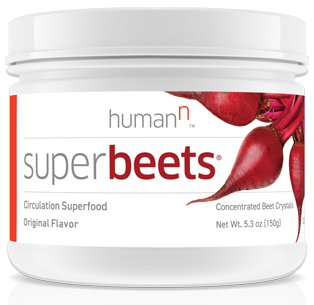 SuperBeets® is a highly concentrated circulation superfood containing beet crystals.